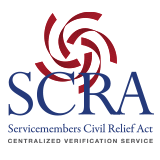 The 4th Circuit held that mortgage obligations incurred during military service are not transactions governed by the Servicemembers Civil Relief Act (“SCRA”). The Court concluded that because Sibert incurred his mortgage obligation during his service in the Navy, the obligation was not subject to SCRA protection. Resolution of the case turned on the interpretation of the phrase ‘originated before the period of the servicemember’s military service’ in 50 U.S.C. §3953(a). The court found that the specific context of the language indicates that the statute does not apply to obligations incurred while one is in the military. In choosing to protect obligations incurred during civilian life, Congress recognized that those obligations could unexpectedly be impacted by entry into military service and the changes in the servicemember’s income and status, which were not contemplated at the time the obligation was incurred. Conversely, it chose not to protect obligations incurred during service because both the servicemembers and the lenders would be aware of the servicemember’s income and status. Section 3953(a) provides protection to servicemembers’ obligations on property only when the obligation originated before the period of the servicemember’s military service and explicitly creates two classes of obligations – those protected and those not. It provides protection to only those obligations that originate before the servicemember enters the military service, while denying protection to obligations originating during the servicemember’s service. The court concluded that because it is undisputed that Sibert’s mortgage originated while he was in the military, it therefore was not in a class of obligations protected by the statute. Because Sibert’s mortgage obligation originated when he was in the Navy, it was not a protected obligation under §3953(a), and his later enlistment in the Army did not change that status to afford protection retroactively. The above was reprinted with permission of the Carol Processing Inc., which is the publisher of the excellent “Complete Guide to Credit and Collection Law,” authored by Jay and Arthur Winston. This tome is the recognized guide, utilized by lenders and their counsel. Subscribers’ services are available at a very reasonable cost.